Jean-Philip Grobler has never been one for small statements. 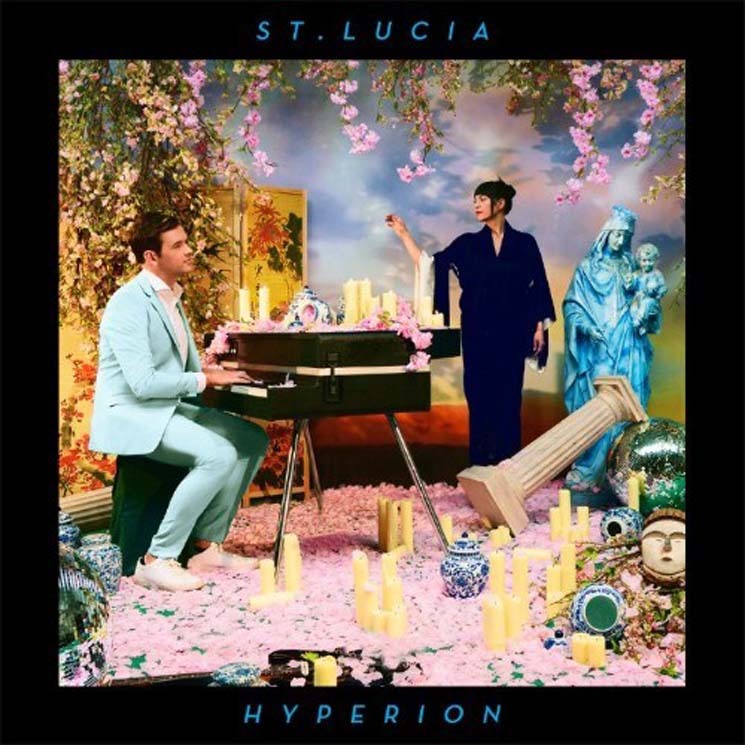 With St. Lucia, Grobler often sounds like he wishes to create the most uplifting, spiritually redeeming indie pop he can. His arrangements seek to fill every corner of the biggest stadiums, and those who embrace his lack of subtlety and nuance will find plenty to enjoy with Hyperion. Across the record, Grobler makes it his personal mission to lift the listener's spirit as high as he can. From the gospel stylings of "Paradise Is Waiting" to the dance-y "China Shop" to the driving piano of "Bigger," Grobler uses gospel choirs, four-on-the-floor dance rhythms, and sing-along choruses to convince audiences to buy into his message of positivity. Indeed, the constant, repeated refrain of "Paradise is waiting / Paradise is waiting / I can see you standing in the sun" from a mass choir gives the listener little room to hide from Grobler; he's in your face and stays there across the record.